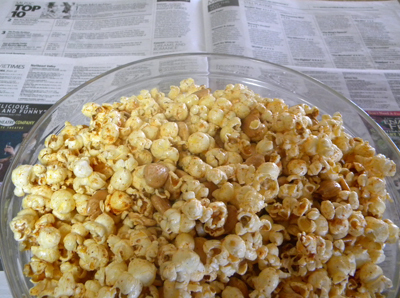 comprare viagra generico pagamento online a Parma This is one of the fancy-pantcy popcorn recipes I plan to make on the “Oscars” edition of Valley Dish later this month. My website server will be down for a little while this weekend, It’ll be up and running again in the next day or two, so hopefully this will tide you over. http://cinziamazzamakeup.com/?x=levitra-generico-Puglia Mix 1/2 teaspoon of the smoked paprika and 1/2 teaspoon salt in small bowl and reserve. http://maientertainmentlaw.com/?search=manufacturers-of-generic-levitra Melt butter in small saucepan over medium heat. Remove from heat; stir in remaining 1/2 teaspoon smoked paprika and 1/2 teaspoon salt. prezzo viagra generico 200 mg pagamento online a Verona Place the popcorn in a large microwave safe bowl and heat for 1 minute. Immediately add melted butter mixture and Marcona almonds to the bowl. 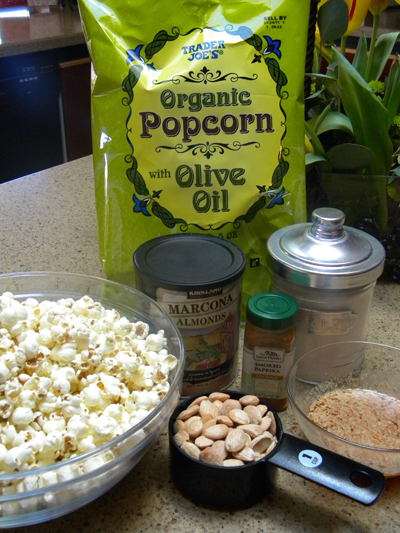 Quickly toss with a large spoon until the popcorn and Marcona almonds are well coated with the melted butter mixture. Sprinkle with reserved smoked paprika-salt mixture and serve. * I prefer Trader Joe’s Organic popcorn with olive oil.